​When students have a profile of significant strengths and weaknesses, the focus can sometimes be more toward remediation. By leading with student strengths, it helps your child push forward through his/her striving areas. 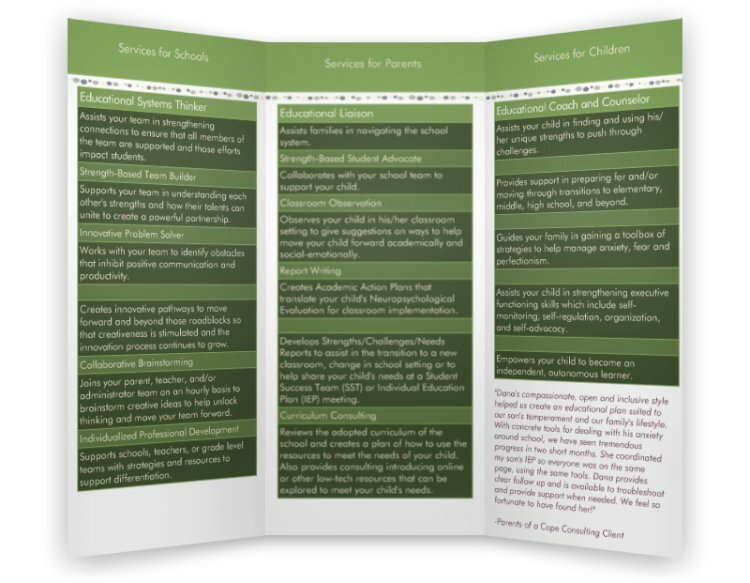 Dana assists families in navigating the school system and collaborates with your school team to create a strength-based action plan for your child. ﻿Observes your child in his/her classroom setting to give suggestions on ways to help move your child forward academically and social-emotionally. ﻿Creates Academic Action Plans that translate your child's Neuropsychological Evaluation for classroom implementation. Develops Strengths/Challenges/Needs reports to assist in the transition to a new classroom, change in school setting, or to share with your school's Student Success Team (SST) or Individual Education Plan (IEP) meeting. Classroom Observation report to tailor an Academic Action Plan to a specific classroom curriculum and setting. What is keeping your child up at night, causing worry, or keeping him/her from reaching his/her full potential? Sessions are designed to empower your child to find tools to move forward past obstacles that present themselves on life's learning journey. Assists your child in finding and using his/her unique strengths to push through challenges. Provides support in preparing for and/or moving through transitions to elementary school, middle school, high school, and beyond. Guides your family in gaining a toolbox of strategies to help manage anxiety, fear, and perfectionism. Empowers your child to become an independent, autonomous learner. Assists your team in strengthening connections to ensure that all memb﻿ers of the team are supported and those efforts impact students. Supports your team in understanding each other’s strengths and how these talents can unite to create a powerful partnership. Support the team to align their strengths with expectations and responsibilities of their roles, as well as empower the team to create goals that align with their talents and abilities. Works with your team to identify obstacles that inhibit positive communication and productivity. 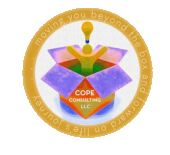 Creates innovative pathways to move forward and beyond those road blocks so that creativeness is stimulated and the innovation process continues to grow. Joins your parent, teacher, and/or administrator teams on an hourly basis to brainstorm creative ideas to help unlock thinking and move your team forward. ​Supports schools, teachers, or grade level teams with strategies and resources to support differentiation. 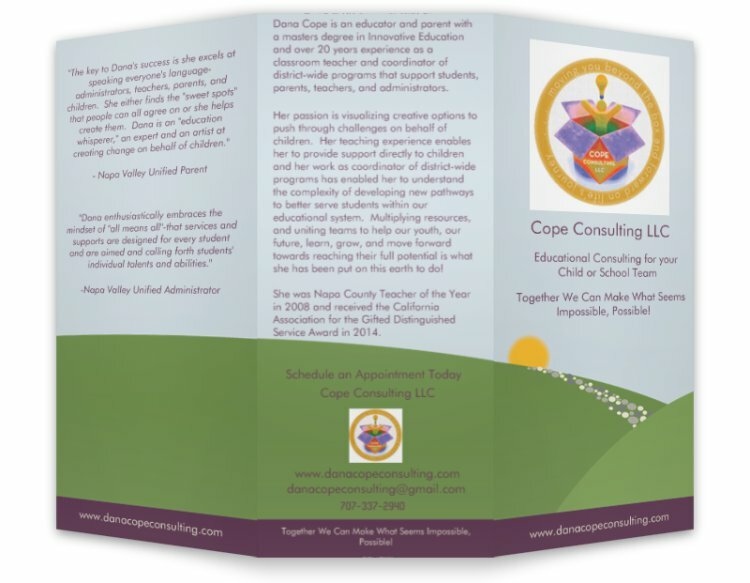 To print a copy of our brochure in English or Spanish please click on the brochure files below.